Breakfast doesn't have to be just toast, jam, and coffee. Break free from the carb-heavy, sugar-filled morning meal and start your day with a nutritious, protein-packed dish! These recipes are a great way to kick off a productive day. Not much of a morning person? Add these to your recipe repertoire for a wicked breakfast-for-dinner selection. Part chocolate, part coconut, part avocado, all delicious! 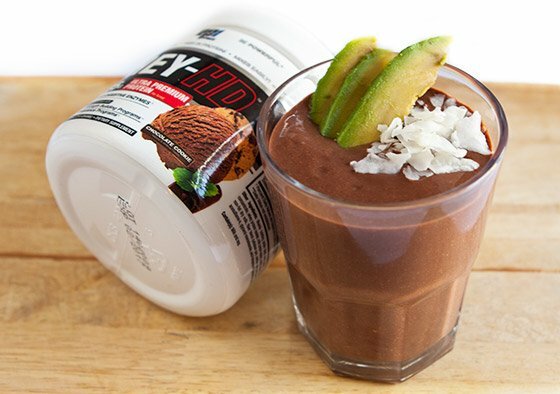 By combining the healthy fats in avocados with the creaminess of coconut milk and chocolaty cocoa powder, this isn't your typical protein shake. 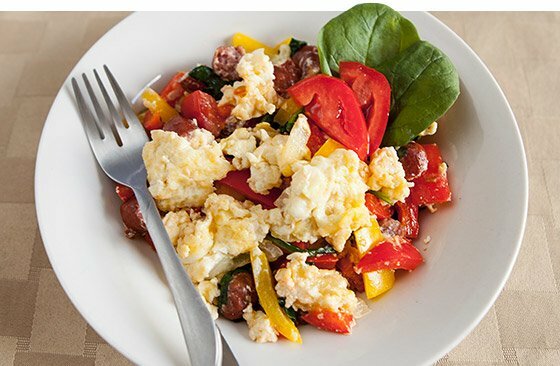 Whoever told you all scrambles are created equal never tasted this protein-packed concoction! Veggies, egg whites, and lean meats will leave you feeling satisfied.